Performing a risk analysis can seem daunting without any sort of framework; lucky for us we have FAIR on our side. 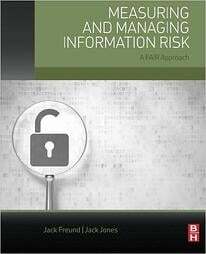 FAIR, or Factor Analysis of Information Risk, is a very comprehensive and powerful framework. Not only does it help you think through the loss magnitude side of risk, how much money you could lose, but it also takes into account the frequency side of any given scenario. FAIR uses measurement concepts useful when trying to understand potential loss exposure: calibration, distributions, probability vs. possibility and accuracy vs. precision, just to name a few. Say you performed an analysis without the FAIR framework as a guide and came to the conclusion that this ‘loss event’ will occur twice a year and each time at $1,000, or $2,000 total per year. There’s still going to be a great deal of uncertainty when delivering these results because it highly likely that the event will not fall exactly on that single data point of $2,000/year. Using distributions, a range of values accounts for that uncertainty! Here's the same example, taking the uncertainty into account. We know that there is a possibility of this happening between 1-6 times per year and the overall loss per event coming in between $500 - $10,000. Using the distributions, you are still able to present accurate results and gain additional precision over time. I can promise you that LeBron James was not born with the skills to become one of the best basketball players in the world; he most likely practiced every day and was extremely dedicated to the sport. Now I’m not saying you should run a FAIR analysis every day, but I will say things may start off a little rocky. Continue to put on your FAIR cap to think through problems in business or even your everyday life. How can you break down a problem and analyze it using what you know? Practice, practice, practice and I promise you, you will get better over time. The reason I say near perfect is because perfection is usually not a realistic goal to strive for when running risk analyses. I like to refer to the Law of Diminishing Returns. Decisions need to be made, and if your analysis is playing a role or could potentially add value, you may miss your opportunity to showcase your analysis if you overanalyze it for days, weeks, or months. Don’t fall victim to perfectionism. 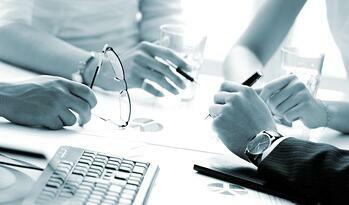 Before taking results to the board of directors, start small. I know anytime I run an analysis I first start with a simple Q&A to myself, maybe even with someone on my team who is familiar with the analysis, to get an understanding of the results and where they could use some refinement. Then run it by the subject matter experts you worked with to get their perspective on the results. If it doesn’t seem accurate to them, again, put on your FAIR cap and determine what data point needs to be adjusted to better represent your scenario. Find out what your audience believes to be wrong with the analysis and use your critical thinking and your FAIR knowledge to figure out what needs to be updated. Maybe it’s the delivery or some of the data points, make those adjustments for the next go-around and it may be better perceived. Always remember – the process remains relentless. With a good framework, reliable subject matter experts, and plenty of practice you should feel confident in your FAIR analysis.